In a tactical campaign around the U.K. general election today, Dunkin' Donuts is asking Brits: "Which donut will win the election?" 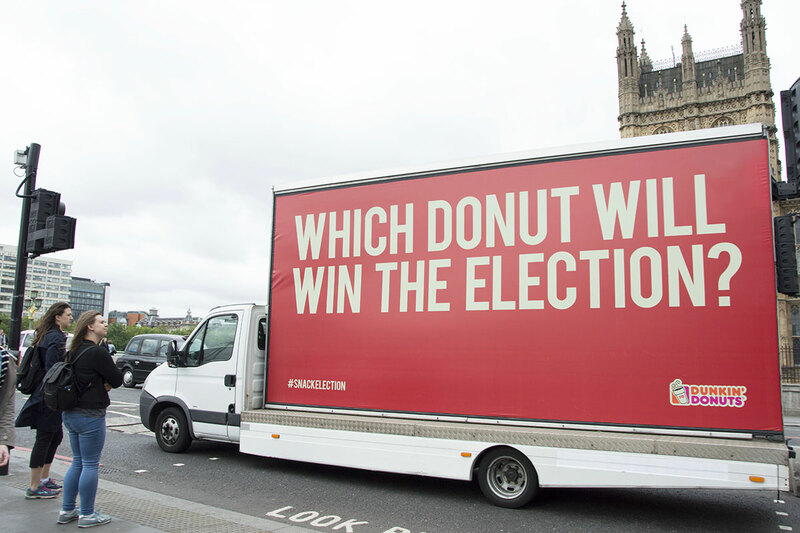 The brand's "snack election" campaign (this election has been dubbed a "snap election" in the media because it was unexpected) involves outdoor ads in the London area and advertising vans circling London emblazoned with this question. It could strike a chord with undecided voters, many of whom are bemoaning the lack of impressive candidates. However, Dunkin' is asking about real donuts: it's asking people to vote on Facebook for a new donut in either red, blue, orange or green (the colors of the main political parties, Labour, Conservative, Liberal Democrat and Green, respectively.) The winning color will go on sale after the election. 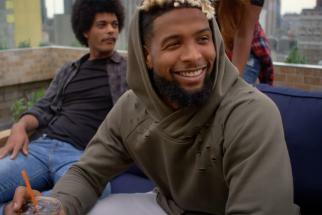 Dan Fisher, executive creative director of The Martin Agency London, which created the campaign, commented, "Any parallels with the other election taking place on June 8 are entirely coincidental and in no way are we inferring that the leaders of all the country's political parties are donuts. Not at all. Not even in the slightest." 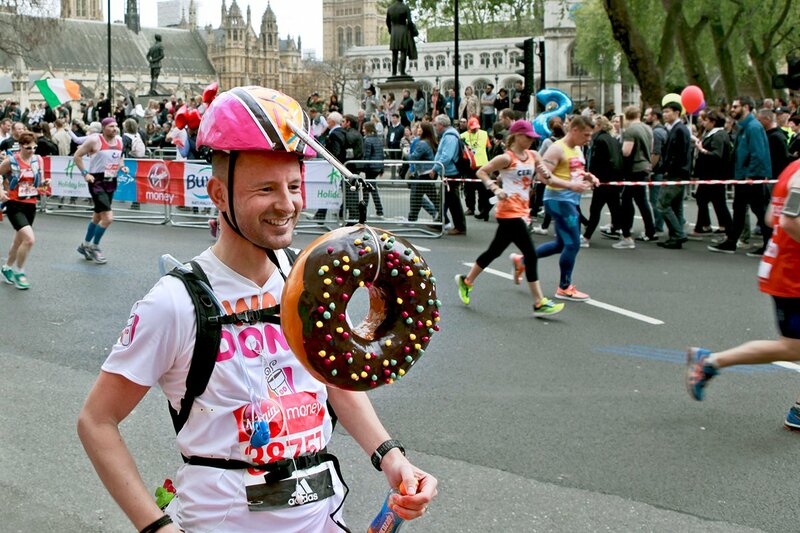 Previous campaigns for Dunkin' by The Martin Agency have included a London Marathon stunt which saw a runner wear a costume with a donut dangling in front of his face.